Before a recent hearing, attorney Michelle Smith learned that her client, a Texas Department of Criminal Justice inmate, would not be arriving at the courtroom. Smith, who works on prisoners' rights with the Texas Civil Rights Project, later received word that the inmate, instead of attending his hearing, was lying in an emergency room. He had become sick, but decided not to see a doctor, because it would have cost him $100. In the past it had only cost $3, and he decided the higher price wasn’t worth his commissary money. “He thought he just had the flu and wasn't willing to pay a $100 to get it treated,” Smith said. “It turned out he had pneumonia." Madden explained that at the time the bill was passed he and other lawmakers considered the possibility that inmates would forego treatment. After a year of seeing the policy in action, he said, legislators may want to revisit the fee and make changes. Usually, inmates' money comes from relatives. Some family members worry that those who need treatment are forgoing a doctor’s visit to save money for other items — such as food, hygiene products and fans that can be purchased in commissary — said Jennifer Erschabek, head of the Texas Inmate Families Association’s Austin chapter. “Because they get so little commissary money, they try to avoid going to medical treatment at all costs,” said Erschabek, whose son is serving 33 years for murder in Navasota’s Luther Unit. When he got skin rashes recently, he chose not to visit a doctor. If many inmates make the same decision, Erschabek said, the results could be dangerous. Untreated contagious diseases could threaten other inmates, visitors and correctional officers. Erschabek and Smith said they have also heard complaints that the copay implementation has been inconsistent. Murray said that initially the number of inmates requesting care dropped drastically, but eventually it grew back to prior rates as patients learned the system. Once they have paid the yearly fee, they “start to put in more sick-call requests,” he said. Most doctor visits requested by inmates are for chronic diseases or emergency events, he said, and they have not seen an increase in infectious diseases. Murray explained that the question of when to charge the copay is a matter of interpretation. “No matter how clear you are,” he said, “different doctors look at different things in different ways." 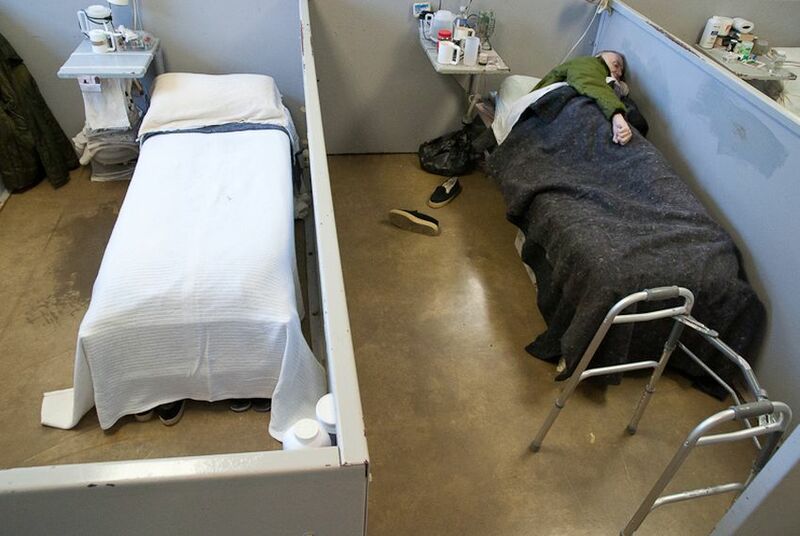 Smith and others at the Texas Civil Rights Project said the best way to save money on prisoner health care would be to expand medical parole, or find other ways to release sick inmates who are deemed little threat to society so that they can be covered by Medicaid. Smith estimated that the 10 inmates with the highest medical expenses cost TDCJ $1.9 million every year. But Rissie Owens, chairwoman of the parole board, warned lawmakers last year that chronically ill inmates in the past have been paroled, then recovered and committed new crimes. Madden, the bill’s original author, said the current solution may not be the final answer for prison health care. “There is some tweaking that needs to be done,” he said. In addition, the new federal health care law may free up more Medicaid money for Texas prison inmates in 2014, according to comments by state officials last year. In 1997, the U.S. Department of Health and Human Services ruled that Medicaid could pay for treatment of prison inmates in hospitals. Erschabek said that the financial burden will ultimately rest with the families of inmates. Her son has asked her not to put money in his account until he absolutely needs it, but she made a deposit anyway. “Families who can pay will," she said, "because they'll do whatever it takes."